The current heatwave shows no sign of abating, and its fascinating to watch the change in lifestyle that this weather seems to bring to all of us. There’s a distinctly Mediterranean vibe in the air, and relaxed, smiling people on the streets, and in bars or restaurants, as Alfresco eating takes over. Mealtimes have moved to the garden, and with that, a chilled out approach to cooking, and eating, with supermarkets working overtime to keep the salads and barbecue sections of their stores replenished with stock. The weather also has a big impact on what wines we are keeping in our fridge and in our racks, as the nation’s passion for barbecues and outside cooking soars. In terms of wine choices, there is only one real rule for barbecues – the wines have to be ripe, fruity, easy-drinking, great value, and flavour-packed! Barbecues are often last minute, unplanned occasions, so it’s worth stocking up on a few bottles that tick these boxes. This is not the time to invest in serious bottles to savour; on these occasions, the wine is not the star of the show, it’s the support act to the main event, and the wine selection should reflect this. Barbecue food covers a multitude of styles, flavours, and spicing, so there’s no one wine to fit the bill. As well as the flavours of the dishes, there are smokey sauces, chargrilled flavours, spicy marinades, and a melting pot of different salads, salsas and relishes, to cope with. Vibrant, juicy New World wines cope best, and European wines need to be fruity, low tannin, and fruit-packed. Whatever you choose, red or white, chill it down – I always have a bottle of fruity red in the fridge at this time of year – a bit of a chill on a Cotes du Rhone, Pinot Noir, or other juicy, unoaked red really seems to bring out the flavours. Fish and seafood – chargrilled prawns, seared scallops, salmon steaks, and monkfish skewers, often with spicy citrussy relishes, cry out for fresh, lively, fruity whites , bursting with flavours, and lime zest crispness. Out goes the notion of anything heavy and oaked, in come zesty, zingy dry whites, for a taste of the sea – Sauvignon blanc, Picpoul de Pinet, Albariño, Godello, and the very fruity Chenin blanc are my current favourites. Sicilian whites, and crisp Verdejo are also good. Thai or Indian spice infused fish and prawns demand something a little more punchy, and I’d recommend either a fruity, lime streaked Riesling, or my personal favourite for spicy food, a fruity, bold dry Rose, such as an Aussie or Chilean Shiraz or Cabernet Rose. With seared tuna steaks and salad nicoise, or chargrilled, herb and garlic marinaded prawns, go for a lighter, Mediterranean style Rose, such as Cotes de provence, Sicilian Syrah Rose or Spanish Garnacha. Vegetarian BBQs – some of the best food I’ve eaten at a barbecue has been vegetarian – grilled halloumi, chargrilled asparagus, roasted peppers and courgettes, drizzled with herbs, lemon juice and olive oil. It’s back to those fresh, zesty, citrus-spiked whites for these dishes; think vibrant, herbaceous, crisp freshness with a squeeze of lime juice and a brush of Mediterranean herbs. Steak, burgers, and sausages – barbecue classics! This is where richly-flavoured, bold blackberry fruit, and spiced-filled reds come into their own. Australian reds are great matches, but venture off into South Africa and South America also. Shiraz, Merlot and the classic Rhone blend Grenache, Syrah Mourvedre will all work well with this meat feast. Spicy sausages, beef kebabs and chargrilled lamb cutlets work well with juicy Mediterranean reds, such as Rhone, Sicilian Nero d’Avola, Puglian Primitivo, Southern French blends, and fruity, modern style, lightly oaked Spanish reds. Steak on the BBQ cries out for hot and spicy Malbec from Argentina. Barbecued spare ribs and chicken with BBQ sauce – BBQ sauce is always a challenge for wines – sweet, sour, sticky, and powerful, it can easily destroy delicate whites or firmly tannic reds. The answer is juicy, soft, vibrant reds, with low tannins, and cheery, bright fruit, with a naturally sweet edge – chilled down Pinot Noir from New Zealand or Chile; spicy Cotes du Rhone or mid-weight, mocha and blackberry spiked Shiraz Cabernet blends. Californian Zinfandels are also good. Indian and Asian spiced dishes – some of the very best BBQ dishes are marinaded with Indian or Thai spices, which pack a powerful punch. These need wines with bags of ripe, juicy fruit; my favourites include lightly chilled, fruity roses, which have enough bright, red berry fruit, and soft ripeness to cope with all the chilli heat and exotic spicing – New World Shiraz, Merlot or Cabernet Rose are good starting points. 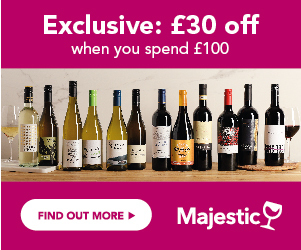 If you want white, stick to the aromatic, which are the best ones to cope with heat and spice – Riesling, Viognier, Gruner Veltliner, Chenin blanc; and for reds once again, Pinot Noir, Garnacha, and spicy Shiraz blends, as well as Chilean Carmenere – but make sure you keep the tannin levels low. Middle Eastern/North African inspired dishes – these marinades normally have a sweet cinnamon, cumin, and mild spice at their core, often with paprika in the mix; and are often served with fruity couscous; here you need wines to match not so much heat, but the dominant characteristics of these sweet spices – so juicy New World and Spanish Rose are a good fit; fruity Chenin blanc works very well, as do fruity Mediterranean reds. 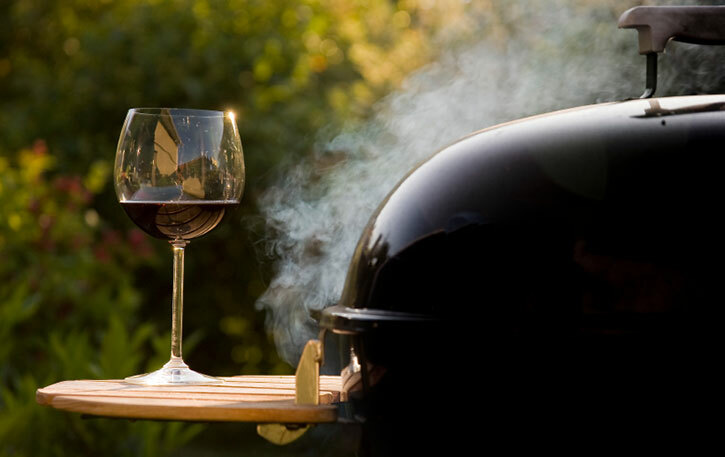 Let us know your top BBQ wine tips!